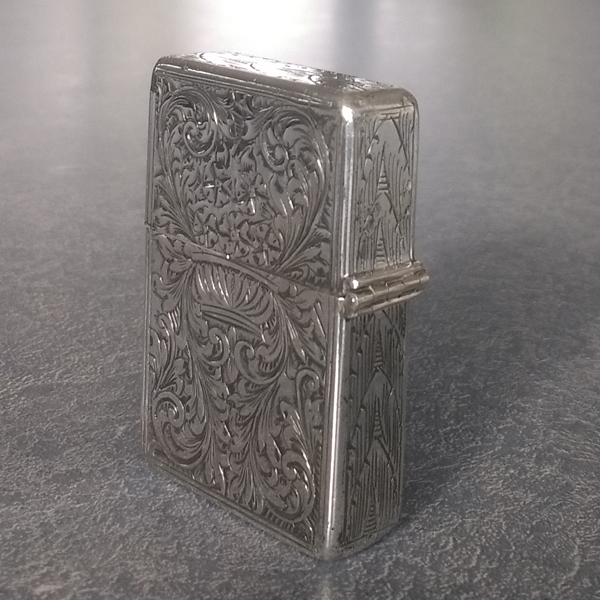 This sterling silver vintage cigarette lighter arrived with the hinge badly worn and missing a hinge section. This cause uneven wear on all the hinge sections. The hinge could not be repaired, the only choice was to rebuild the hinge. 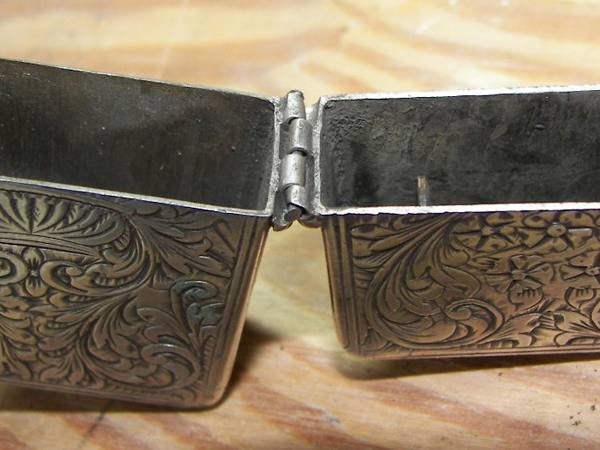 The old hinge was carefully removed and a grove filed to fit thick wall sterling silver tubing (left photo.) This is pretty scary. Will the new hinge sections fit appropriately for the box? Note that the channel to hold the hinge section prevents the hinged lid from opening to far. This must be done very precisely. (Right photo above) shows the hinge construction in progress. It takes many steps to construct and solder a new hinge. I made a five section hinge so the hinge would be stronger and more stable reducing the uneven wear that happened before. The new hinge is in five sections. The greatest difficulty was the uneven wear on the box. The back, sides and front wear worn unevenly and a little wonky. 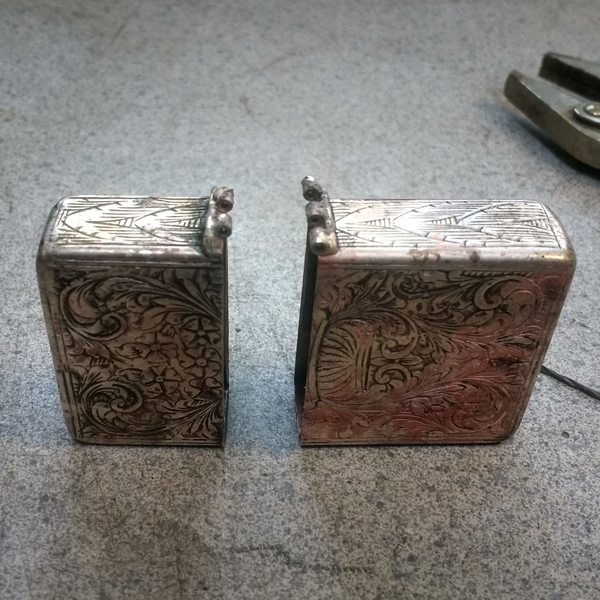 To align the opening and closing of the box, I added a sterling silver shim on the inside front edge (shown left photo.) This helps the box close more evenly. It can be easily removed when the lighter is refilled, and slid back into place.